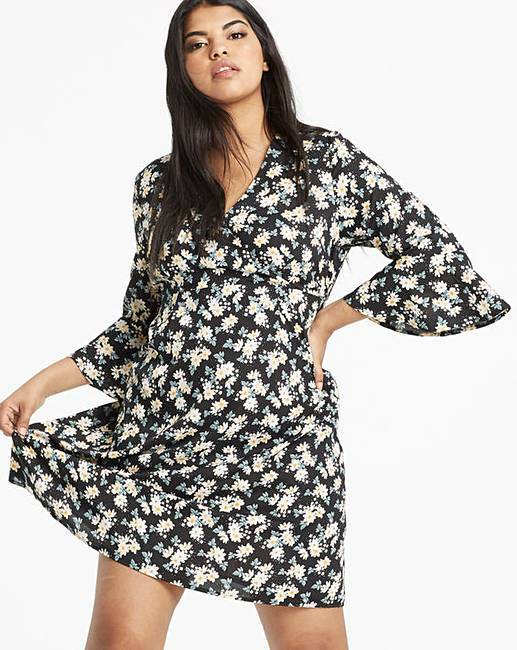 The Fluted-Sleeve Wrap Skater Dress has been updated with a new black floral print. This stylish classic shape skater dress with wrap detailing is a key piece this season. 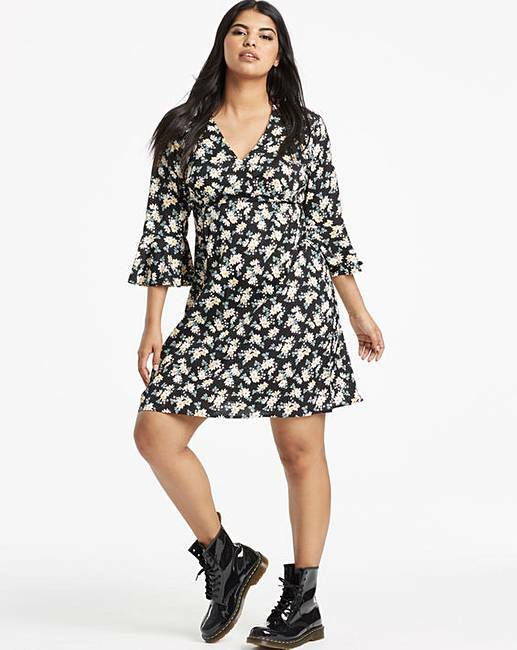 Style with chic black block heels or classic casual boots for a daytime attire or even your barely there sandals as we approach the warmer weather creating that dressier approach. 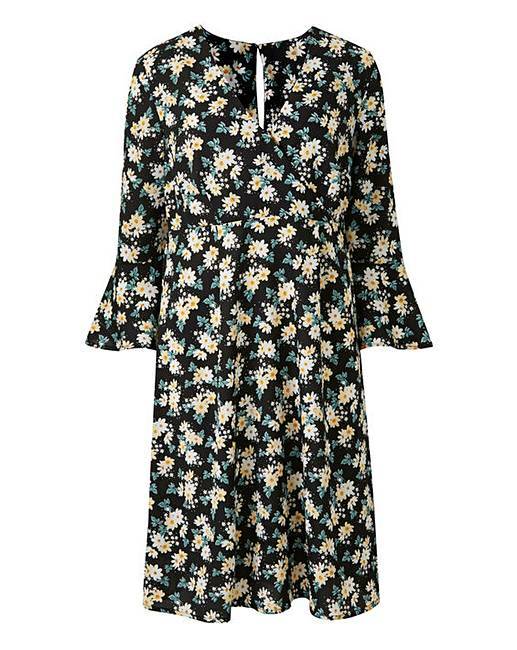 This flattering shape and gorgeous print will become a season favourite in your wardrobe.